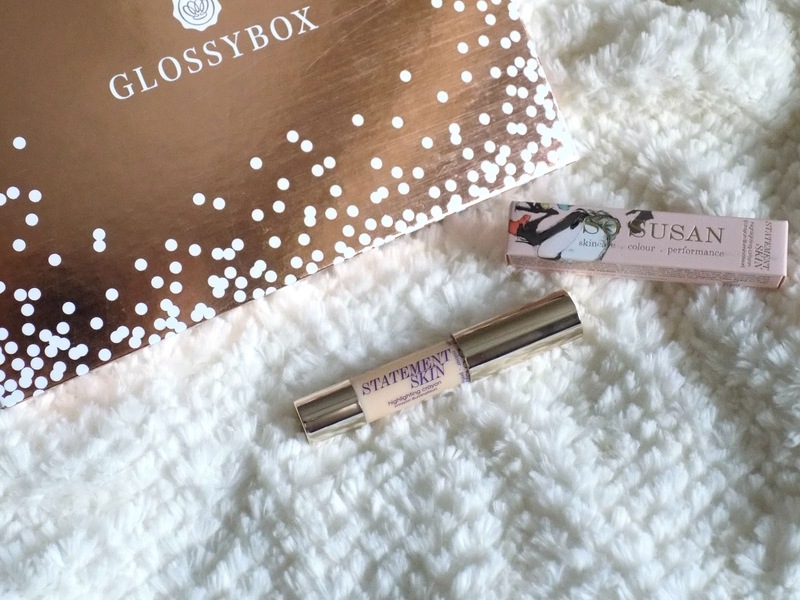 It's time for December's Glossybox and this is a very special and beautiful looking box. 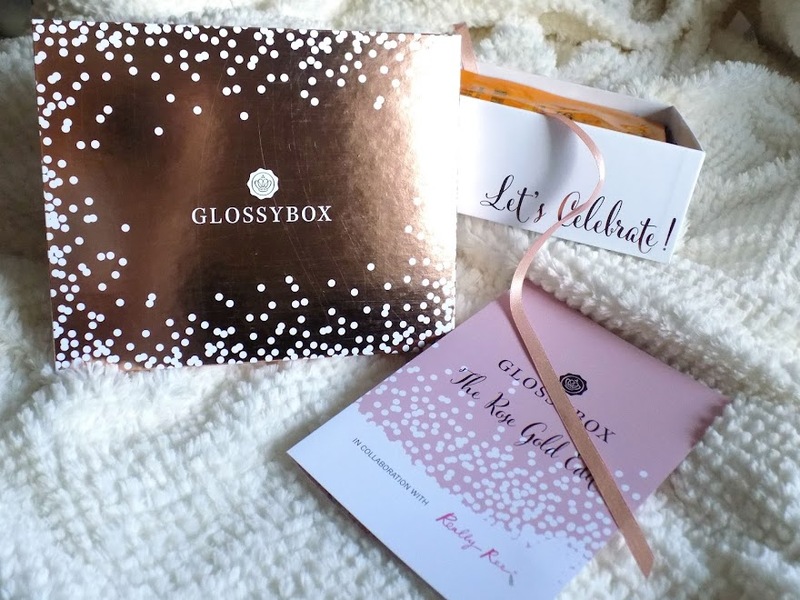 Not only is it the 2015 Christmas box but it is also a collaboration with beauty blogger Really Ree, and she created an absolutely beautiful box which is The Rose Gold Edition, I mean c'mon, how beautiful is this months box? 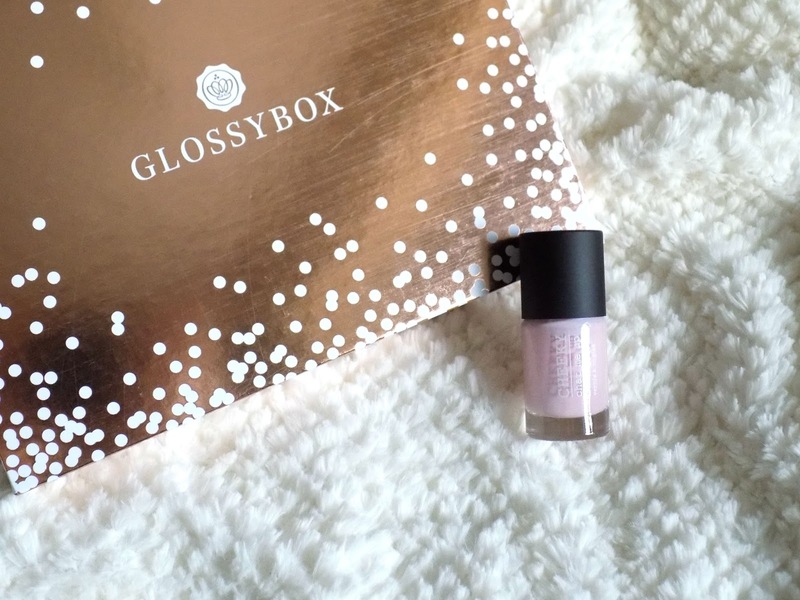 It's beautiful, it's rose gold, very festive and a great way to finish off Glossybox for 2015. 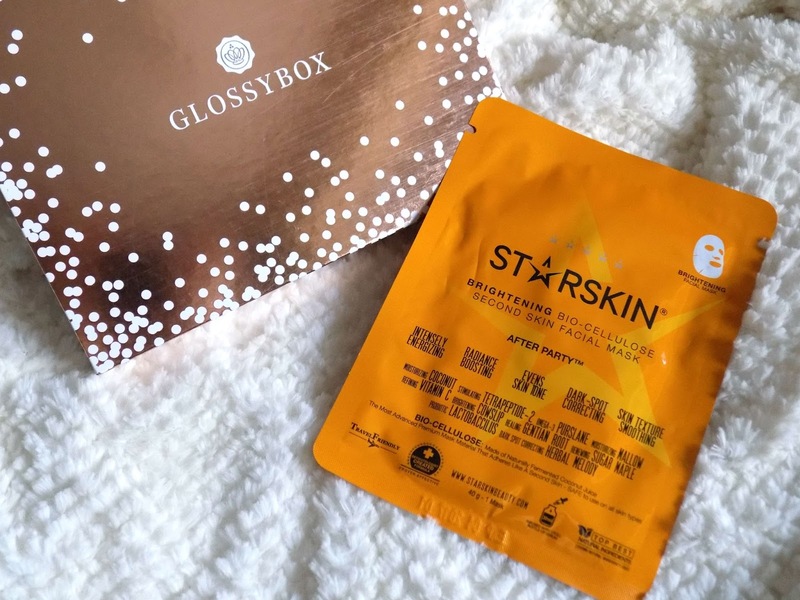 Considering how much I love skin care I have never tried a sheet mask but this brightening, hydrating, skin smoothing, skin tone evening, dark spot correcting, energizing mask, damn that was a long description, so I cannot wait to try this. It's £8.50 for a single use mask though so that's pretty darn pricey and may only be a treat every once in a while. Alright so this isn't really a colour I would wear now but I am sure in the summer it would be beautiful. But it smells delish and I like the applicator as it has two flat sides so would make it super easy to apply and get a precise outline on the lips. This is a very well known skincare product and I have never tried this so I am super excited to give it a shot. I plan on using it with the Konjac Sponge I got recently but this is supposed to be able to remove makeup and dirt, cleanse the skin and tone the skin too. All in one product and it's a great travel size for my travel bag that I take to my boyfriends. Whaaa??? £30 for this eye roll on? Damn. This is used to hydrate and soothe the skin around your eyes and also cool and de-puff too as it has a metal ball on the end. I am really surprised at the price tag considering I have a Soap & Glory one for a lot less but I will give it a go anyway and see how I like it. I'll be honest, I highly doubt buying the full size though. 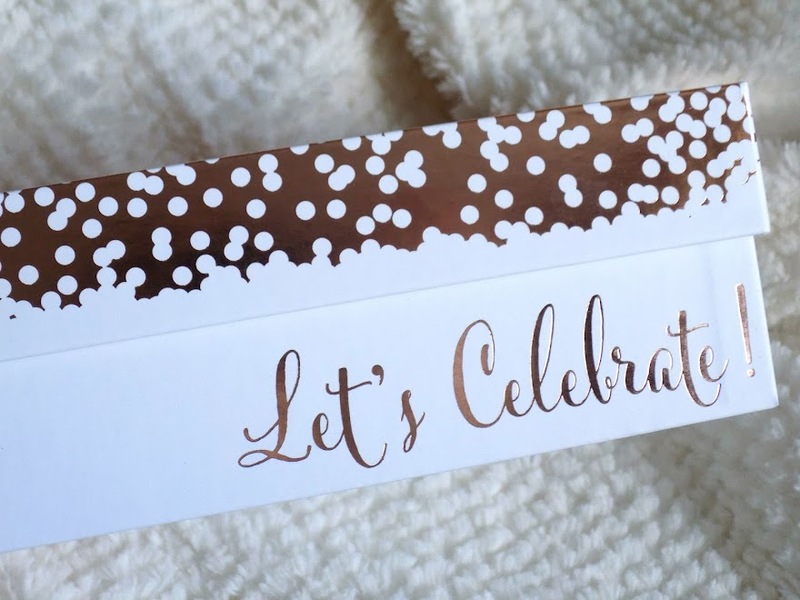 I love highlight sticks like this and I swatched it (but you can't really see it) and although it looks really shimmery white champagne kind of shade, it would be great to layer under a powder highlight if you're going for a super intense highlight or for those Christmas parties. I have never heard of this brand but this is a pale pink nail polish from the brand Cheeky and it's in the shade Crush On You and would be great if you're going for a subtle nail colour for work or school or something or great for a french mani. 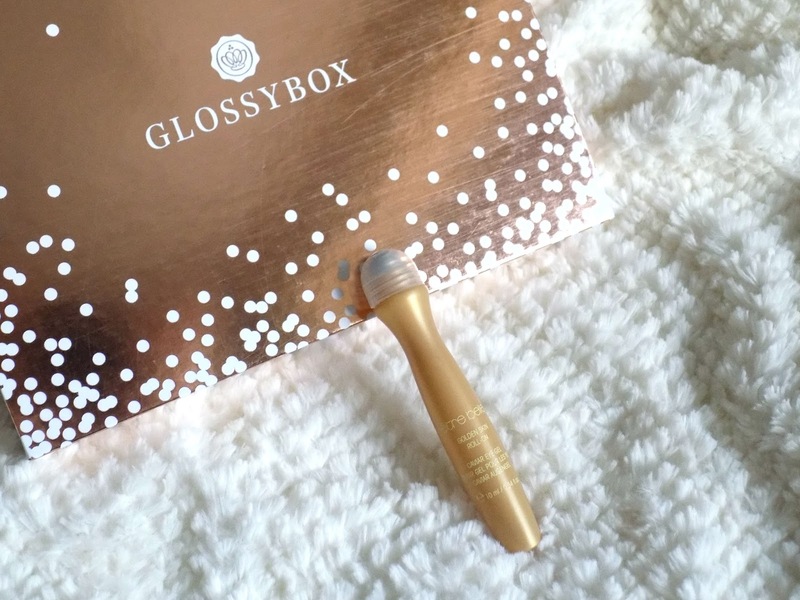 Okie dokie so I hope you liked today's Glossybox. 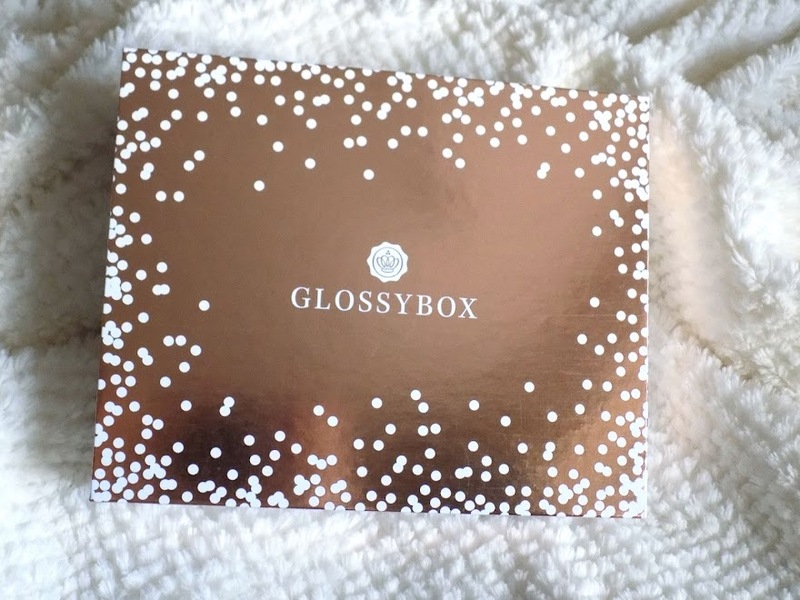 Overall I think it's a good box, I am most excited about the face mask and the cleanser but I will definitely give the other things a try and keep you updated. The design of the box is definitely my favourite and I will be keeping this and using it for my makeup or something. 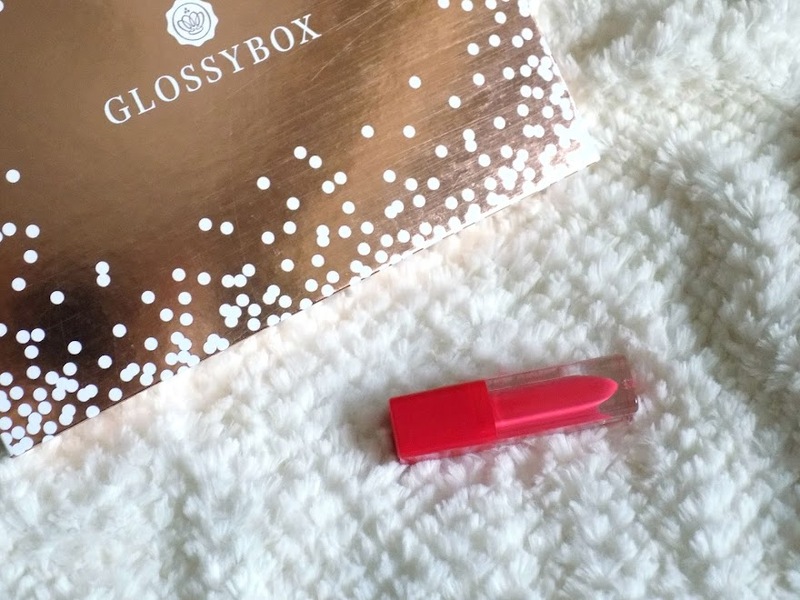 Have you tried anything from this months Glossybox?